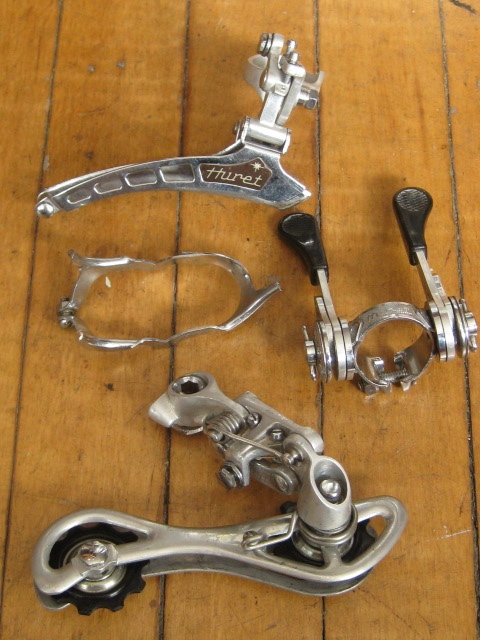 Huret Jubilee derailleur set. 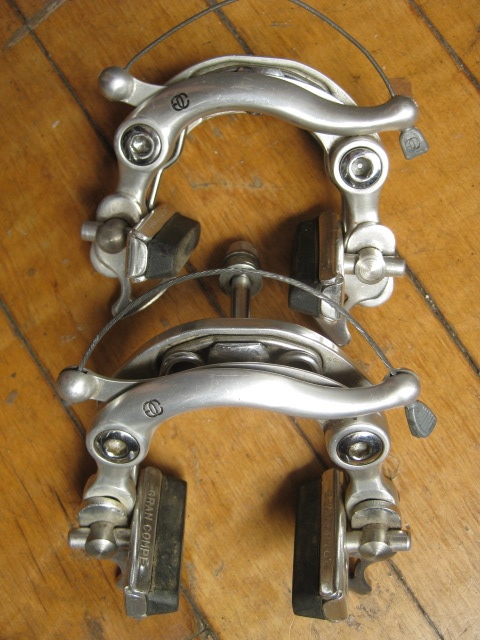 rare long cage rear derailleur, shifters, front derailleur and cable guide. $300 for the set. Gran Compe (dia compe) centerpull brakes. NGC 450. new old stock. replacement straddle cable on one. 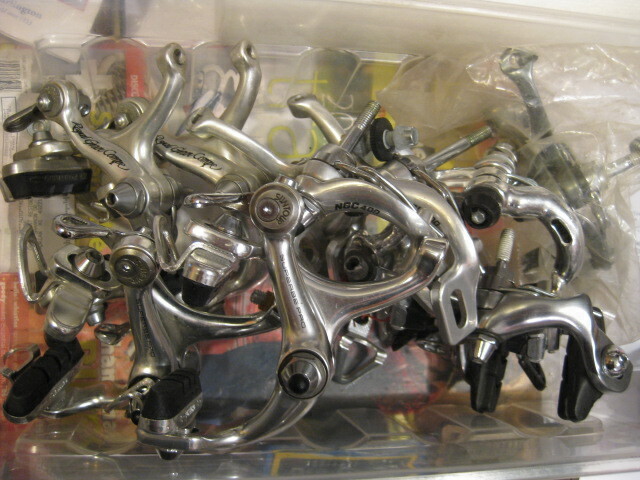 $225. 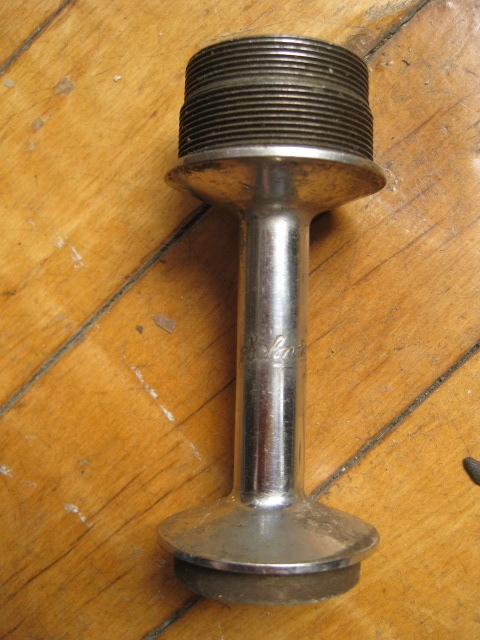 Schwinn Paramount rear hub shell. 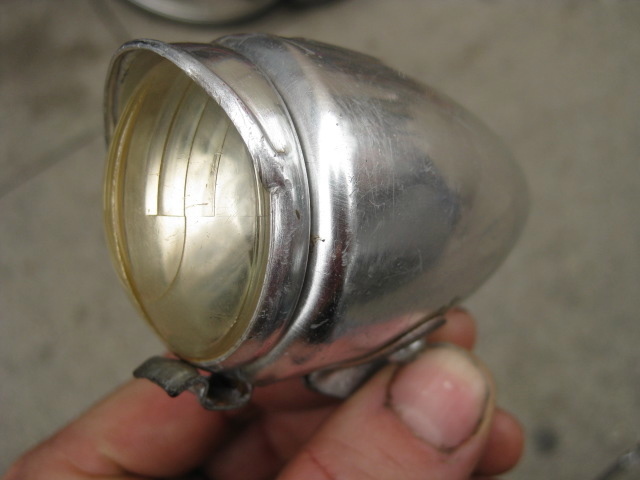 No flanges, but you can see how the flanges would be installed. 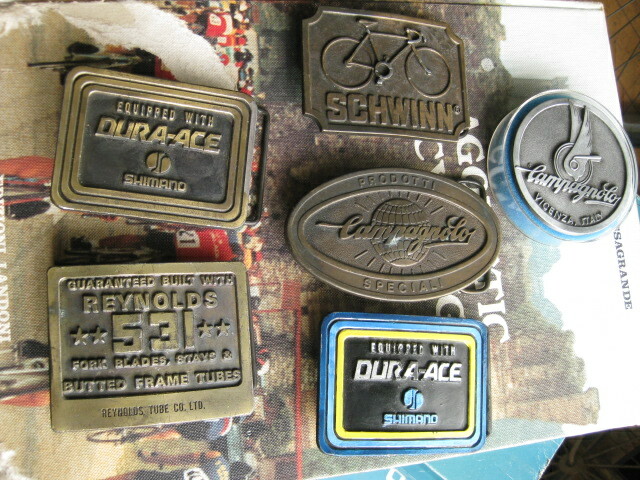 Various belt buckles- including Shimano Dura Ace, Campagnolo, and Reynolds. Wow, nice collection of Belt Buckles! My Reynolds buckle shattered to pieces when it hit the ground during a heated pants removal. Are you selling any of these beauties? I know this is a longshot, but any chance the 531 or oval Campy belt buckles are still available? sorry, they are both gone. email me and if another comes in, I can contact you.